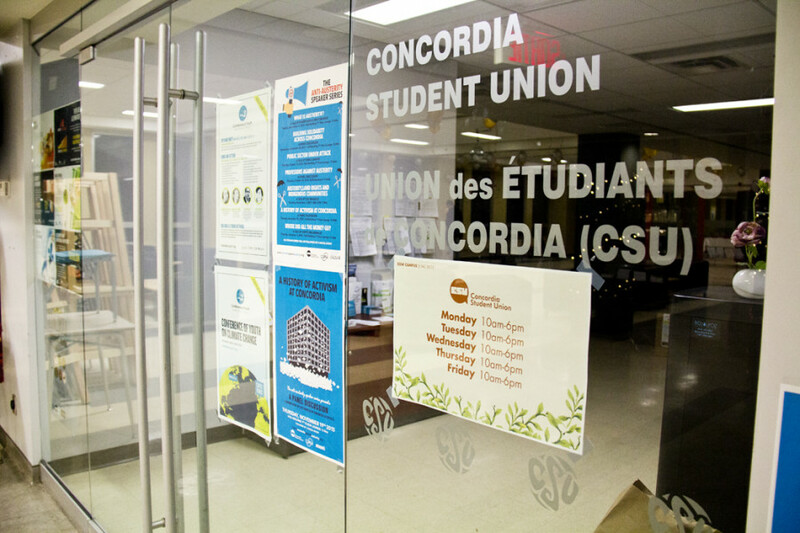 A new money-transfer system, as well as a new model for fee collection, should prevent the Concordia Student Union from running deficits like it has in the past two years. Year-end financial statements reveal a deficit of $179,352, which include costs not normally accounted for in the annual budget. According to CSU General Coordinator Terry Wilkings, the 2014-2015 budget expected a deficit of more than $150,000. Wilkings argued that the union actually produced a lower deficit than expected, since $85,000 of total 2015 expenses were caused by amortization—which is when costs for assets are spread out over time. CSU computers, software, equipment, furniture purchases and costs for space improvements at Reggie’s and The Hive Cafe are amortized. “Considering that the previous year went $300,000 over their budget, I think we can say we performed well,” Wilkings said. The 2013-2014 audited statements revealed a deficit of more than $330,000, when a surplus of $60,000 was expected. Major expenses from the Student Space, Accessible Education and Legal Contingency fund include the cost of relocating the CSU’s advocacy office, an undisclosed settlement to the Canadian Federation of Students and lawyers’ fees. The SSAELC fund is an overhaul of the old Student Centre fund, which was created with the intention of buying a student-run building or space downtown. During CSU general elections in March 2015, students voted in favour of reorganizing the union’s financing structure, increasing the amount of money paid by students to the CSU’s operating budget from $1.75 per credit to $1.97 per credit. Students also voted in favour of indexing CSU fees to the Consumer Price Index to prevent future deficits. Wilkings said the CSU is expecting a small surplus by the end of his term. The total amount of fees paid to the union haven’t changed from the previous year, at $3.80 per credit. But the union reorganized the way it collects fees by lowering the Student Space fee and by reallocating fees specifically for its Housing and Job Bank, Advocacy Centre and Legal Information Clinic. In the past, the CSU collected fees that weren’t restricted to offices like HOJO, Legal Information Clinic and the Advocacy Centre. Funds that weren’t used would fall back into the general operating budget. “It was not as transparent,” Wilkings said, referring to a controversy in 2013 when CSU executives were asked to apologize for throwing a party not stipulated in the budget at the end of their term, which cost $9,000. Wilkings said the move to more restricted funding began shortly after. The new Student Information System has also changed the way the union receives its fees. Since the new SIS software was adopted, the CSU and other fee-collecting groups are given their fees as soon as students pay tuition, Wilkings said. “It’s addressed our cash flow issue, because usually we would have to wait until after October to collect our first round of fees,” he added. In the past, the CSU wouldn’t receive the money collected by Concordia from student tuition until after the course add/drop deadline. This meant that every semester the CSU needed to ensure that they had enough cash in their accounts from the previous semester to pay for the first month’s worth of salaries and other expenses, including orientation.